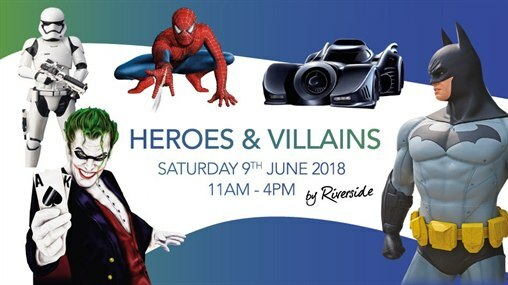 Heroes and Villains are returning to Riverside here on Saturday 9th June. From 11am till 4pm come down and meet some of your favourite TV characters and hop in some famous cars, including Batman and his Batmobile! There's also the Noddy, Ghostbusters and Lightening McQueen car to have your picture taken with, as well as roaming characters such as The Joker and Spiderman! Plus FREE face painting.See you there! Join our Facebook Event to keep up to date.